Gross Weight (GVWR) 9900 lbs. With a GVWR of 9900 lbs, a hitch weight of 1359 lbs, and a dry weight of 8782 lbs, this RV can go just about anywhere! After the long trip, sit back and relax outside under the cool shade and protection of the 20' 0" awning! There's no roughing it in this 31' 9" long RV! Plenty of headroom with a height of 12' 5" inside and a generous width of 8' 0" When the 2 slides open up, you'll enjoy maximum living space and comfort throughout. Enjoy all four seasons of RV living with the 35000 BTU furnace or the 15000 BTU air conditioner that will keep the interior as warm or as cool as you like it! You need good sleep on the road to enjoy those long, fun-filled days outdoors! 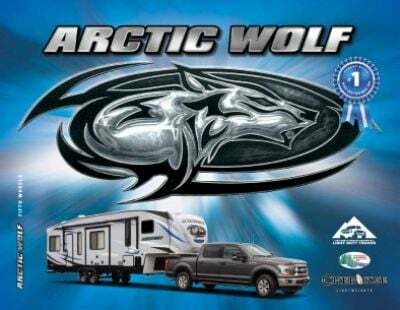 The Arctic Wolf 265DBH8 ensures that with the spacious, comfortable bedroom! It's handsomely furnished and has a regal Queen bed for sweet dreams every night! 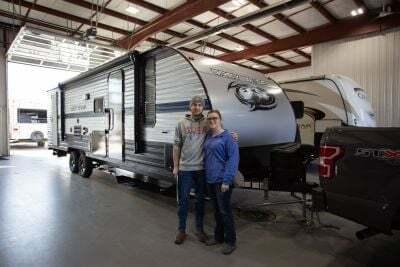 A family of 7 can sleep comfortably inside this RV! 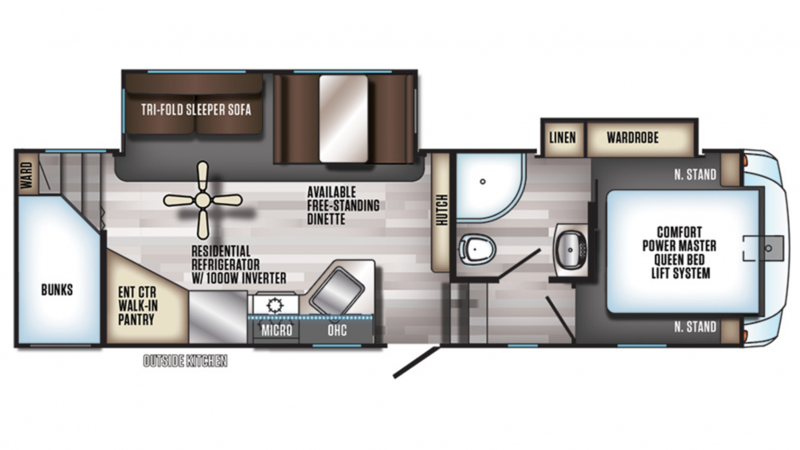 With the addition of the bunkhouse, this 5th Wheel holds 3 beds! Inside the bunkhouse, you'll find cozy Bunkbeds, perfect after a long day of camping! The outdoor kitchen makes it easy to enjoy picnics, cold drinks, campfire snacks, and summer cookouts!